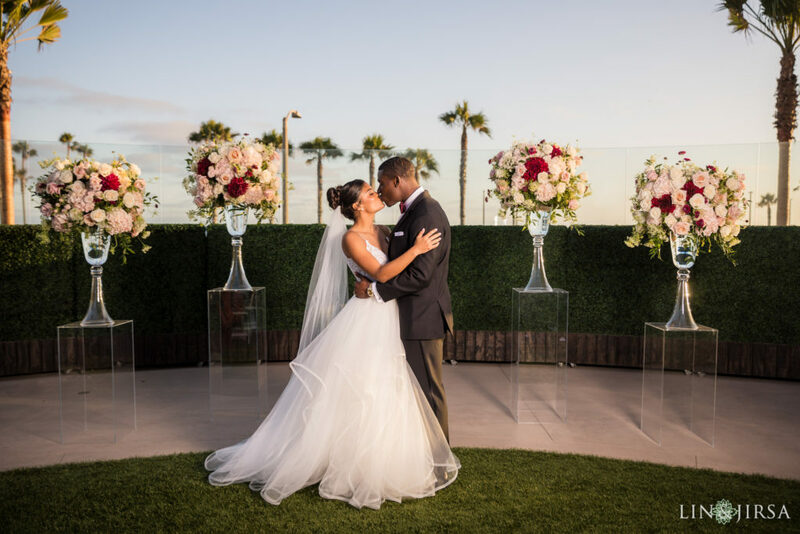 Autumn & Dion had a gorgeous wedding at The Waterfront Beach Resort in Huntington Beach, California. 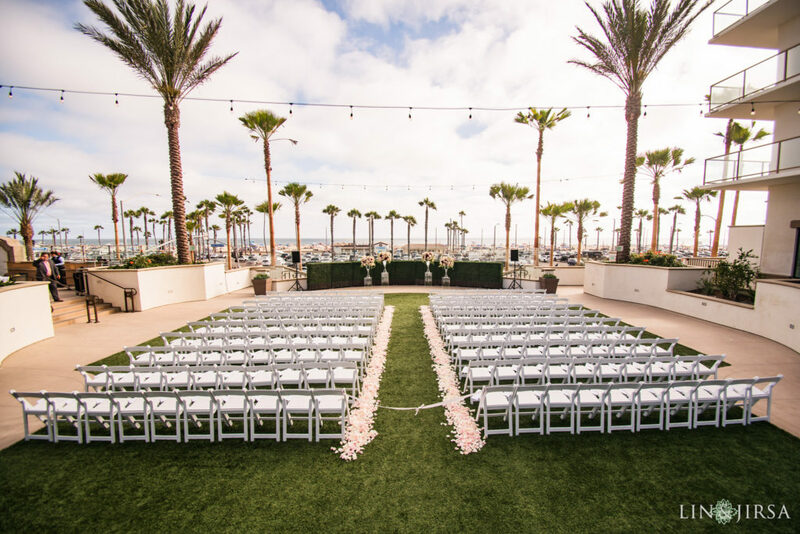 Every moment was captured by the talent at Lin & Jirsa Photography. 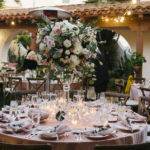 Planned by Chic Productions, Autumn and Dion’s wedding celebration was an enchanting experience. 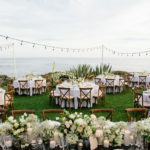 The maroon and white color combination looked amazing against the coastal backdrop. 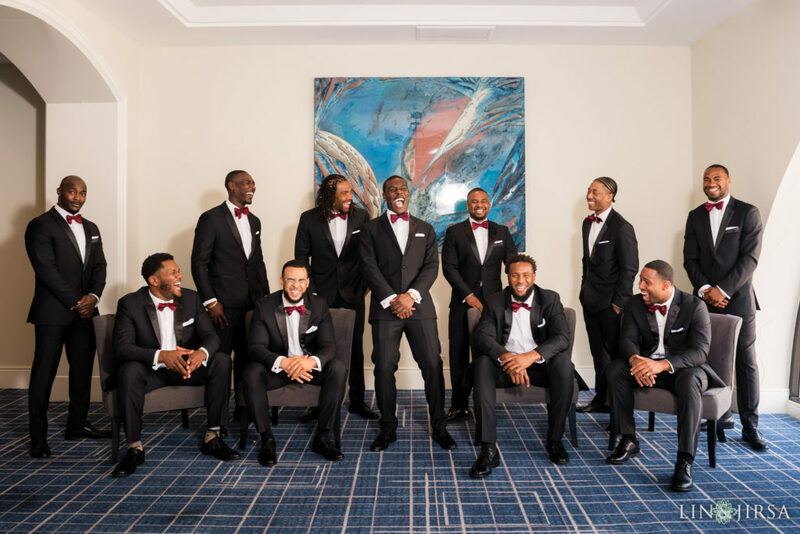 Dressed in maroon dresses and black suits, the bridal party looked amazing walking down the rose petaled aisle. 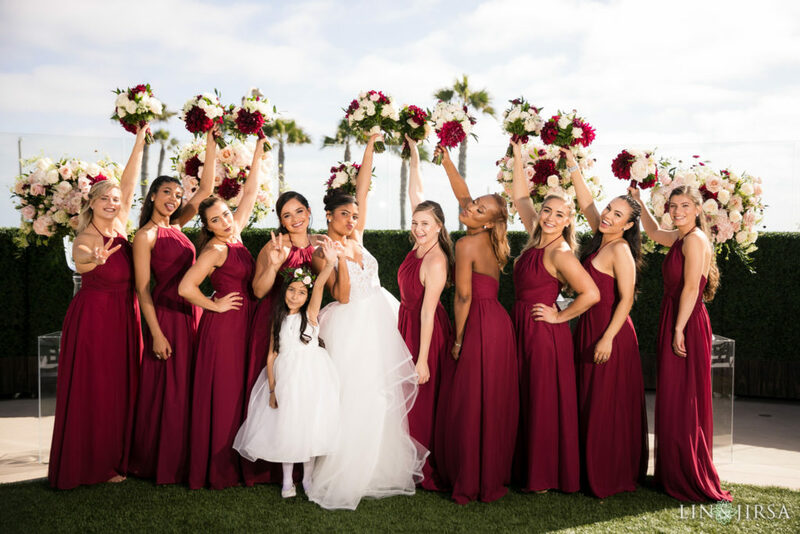 Our signature touch was realized with large bouquets of maroon and white roses nestled in tall, clear vases. 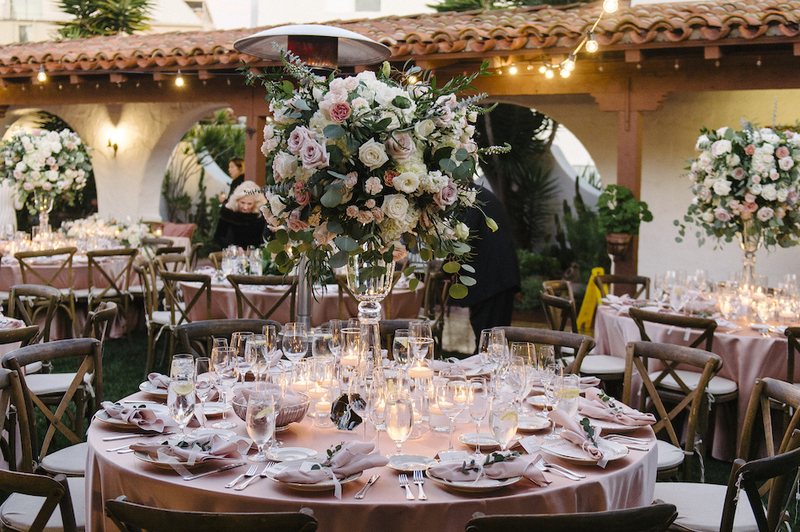 From the ceremony decorations to the table centers, blossoming bunches added an a little decor to each angle. More details on this gorgeous wedding will be coming soon. In the meantime, please enjoy the Wedding Preview provided by Lin & Jirsa HERE.